Choosing an RV dealer is almost as important as choosing the RV itself. Most people do not just go to the first dealer that they see and purchase the first vehicle they see. You want a dealer that can provide you with the best quality new and pre-owned products with a wide variety of options, financing to fit every budget and lifestyle, low-pressure sales tactics and continuing customer service before, during and after the sale. When someone makes a purchase this important they will often ask other people that they trust about their buying experiences, look in the paper or on the internet for product reviews and ratings. Education is important when you are looking for an RV dealer. An RV dealer that offers a quality product at a great price is a truly good find. Pedata RV is an RV wholesaler who offers the complete line of brand new Holiday Ramblers, along with pre-owned models from many of the other leading recreational vehicle manufacturers like Winnebago, Newmar, Fleetwood, and Monaco. Being a wholesale dealer has definite advantages. They can order your new motor home directly from the manufacturer with the options and features that you want at a much lower price than you will find at any other RV dealer. Even the pre-owned models are offered at rock-bottom prices you won’t beat anywhere. Individuals making the purchase of a motor home whether it be a travel trailer or a diesel powered motor coach do not like to be pressured. They prepare themselves for a bargaining battle when they head out to the RV dealer. But a good dealer will not pressure a buyer into something that is not in their price range or that does not fit their needs and lifestyle. A good dealer will work with you to get you exactly what you want at a fair price. 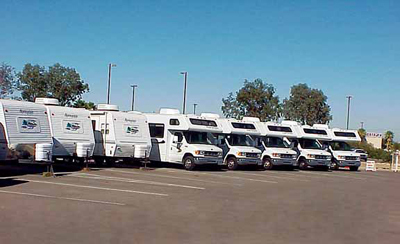 Once you and the RV dealer have found your perfect match, you will need to arrange financing. 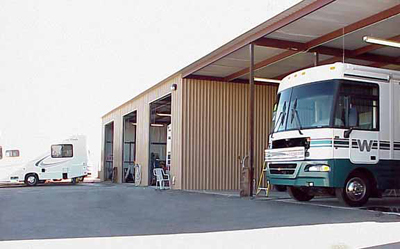 You may need to consign or trade in your former motor home. A good dealer will help you to get the most out of consigning or trading in your old vehicle. They can also work with one of their many motor home loan lenders who specialize in loan products that are made with recreational vehicle buyers in mind, unlike a bank, that has products that are for more general use. An RV dealer that places customer service before, during and after the sale as a top priority is a must. Not only should an RV dealer help you to find your perfect new or pre-owned recreational vehicle, they should also get you the options and features you want, make sure that your financing is adequate and affordable, guarantee the quality of the workmanship on the products that they sell, and provide customer service after the sale to make sure that you are happy with your purchase. Pedata fills these shoes. They have links to information about the makes and models of every motor home that they sell. You can look at the financing options and motor home listings online before you even contact the dealership. After you buy your recreational vehicle you can find links to motor home owner clubs and information about the best places to stay and camp along with a lot of other valuable tips. A great motor home seller can make all of the difference in your motor home buying experience. Selection and service are the keys. Owning a recreational vehicle can be a wonderful experience and an adventure for you and your family and friends. Make it even better by choosing a dealer with your wants and needs as their top priority.